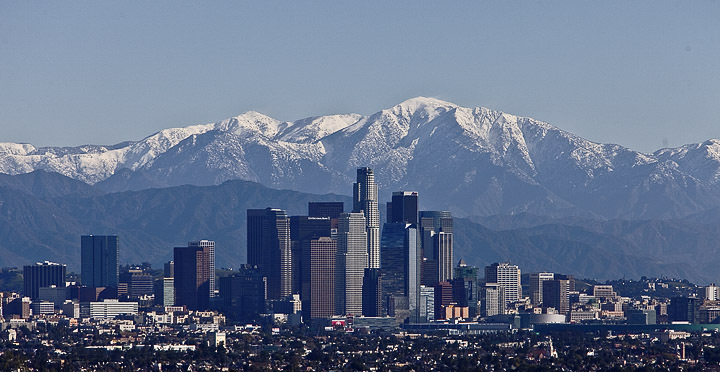 Los Angeles is ending this year with amazing clear, cool, and windy days. Clear and 48 degrees atop Kenny's park. 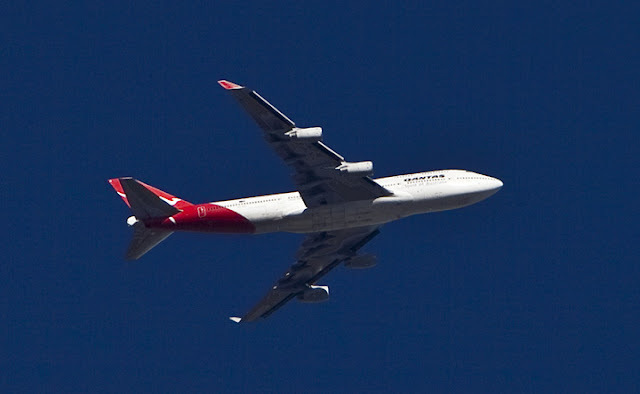 The Qantas 747-400 "Spirit of Australia" on final approach to LAX. 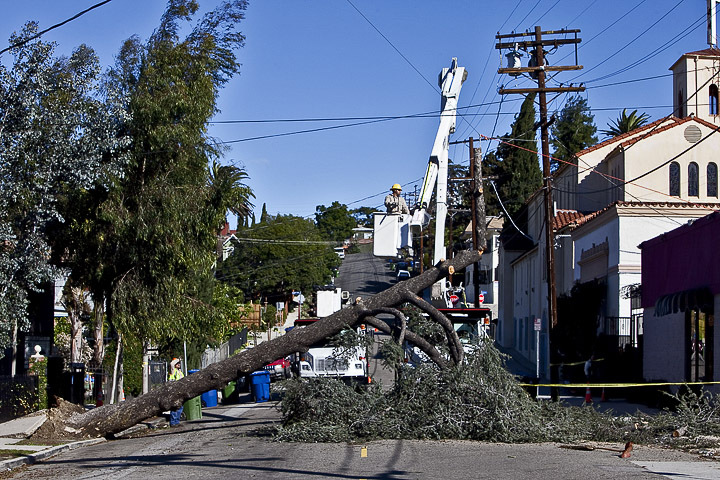 Wind damage on Effie street in Silverlake. 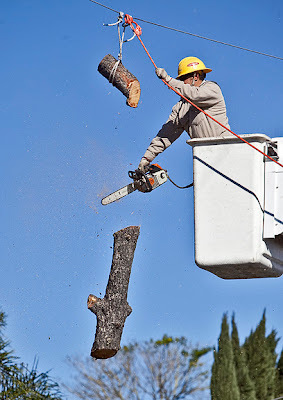 L.A. City worker cutting a tree limb from overhead wires.